Mentorship and real-world learning experiences are core to a Drew education. 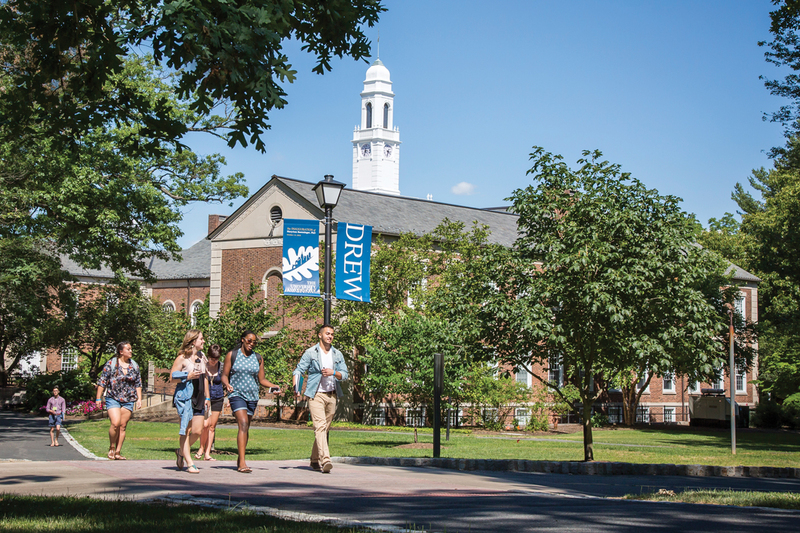 January 2019 – Drew University is on The Princeton Review’s list of The Best Value Colleges. Drew, which lowered its tuition by 20 percent, recently announced Launch, a new leading-edge approach to a college degree that syncs career preparation with rigorous academics and powerful community. Core to the curriculum are real-world learning experiences, including internships and semesters in N.Y.C. and abroad. Some 94 percent of recent graduates either landed jobs or entered graduate school within six months of graduation. Only 200 schools made this year’s Best Value list. Others include Cornell, Johns Hopkins, Dartmouth and the California Institute of Technology. The guide, formerly known as Colleges That Pay You Back, features private and public schools that distinguish themselves in academics, cost, financial aid, career services, graduation rates, student debt and alumni support. It debuted in 2004. Drew is also featured in three other Princeton Review publications: Colleges That Create Futures, Guide to 399 Green Colleges and The Best 384 Colleges. In the latter guide, Drew is ranked top 10 in theater and race/class interaction.